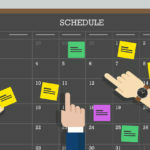 Oregon has become the first state to adopt a “predictive scheduling” measure, requiring employers to give employees a set work schedule a week in advance or face penalties. Also known as a “fair workweek” law, Oregon’s governor signed the bill earlier this month. It takes effect July 1, 2018, with additional provisions taking effect through 2020.